The Trojan UVMAX C4 generates UV light from a low-pressure, high-output lamp. UVMAX systems are equipped with audio and visual signals as a reminder to replace the lamp yearly, and to alert the user of a system failure. The UVMAX C4 system produces Ultraviolet light that eliminates waterborne pathogens by penetrating the cell wall of bacteria and viruses, deactivating the DNA, and destroying the cells ability to reproduce. 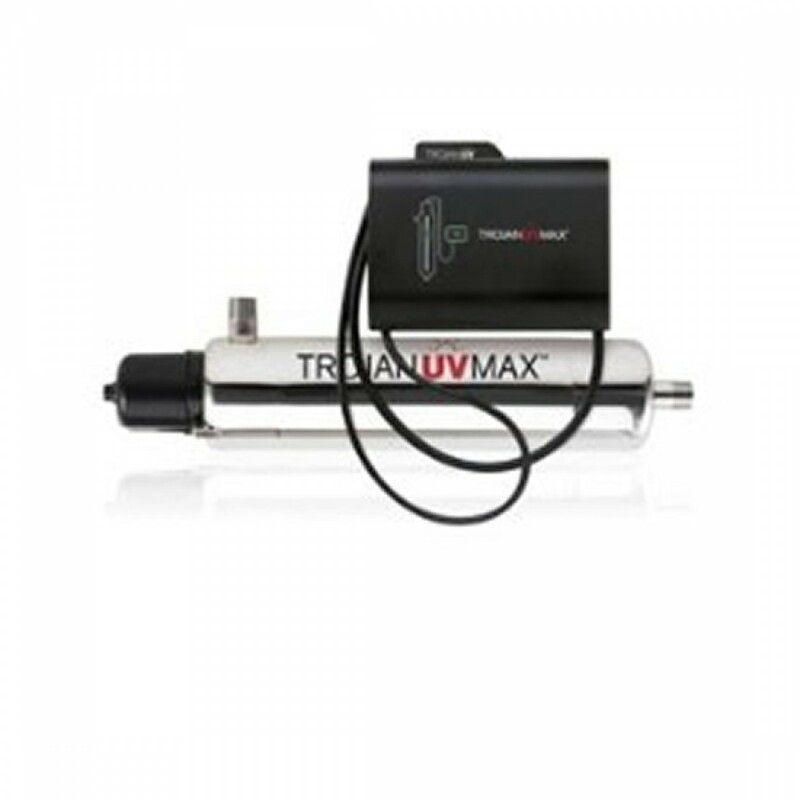 The Trojan UVMAX C4 Ultraviolet System does not effect the taste, color, or odor of the water. To ensure that an adequate dose of UV light reaches the microorganisms and ensure complete disinfection, the water must be pretreated to meet or exceed the following guidelines: Iron: < 0.3 ppm (0.3 mg/L), Manganese: < 0.05 ppm (0.05 mg/L), Turbidity: < 1 NTU, Hardness: < 7 gpg (120 mg/L), Tannins: < 0.1 ppm (0.1 mg/L). Replace UV Bulbs and O-Rings every 12 months.